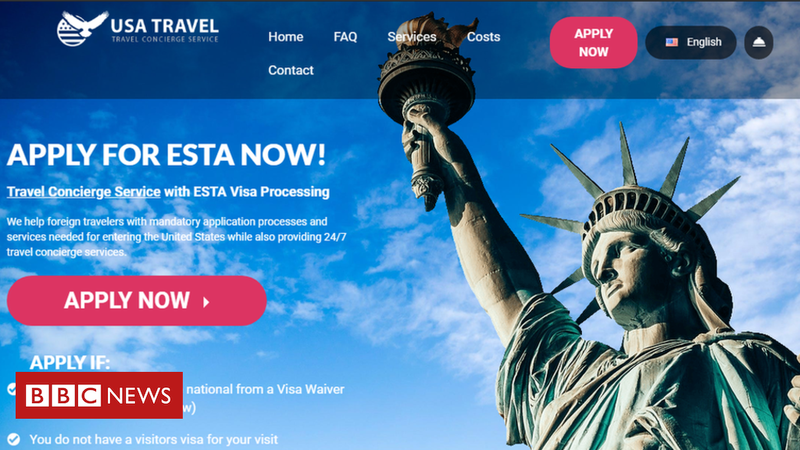 The official Esta website is run by the US Department for Homeland Security, which charges $ 14 (£10.70) for each Esta. But there are countless sites that charge more than $ 80 for the same application. One site advertised on Google charged $ 99 (£76) per Esta. “It’s a fairly simple message from me. Don’t go near them with a barge pole,” said Guy Anker, deputy editor of the consumer advice site Money Saving Expert. Since the commercial websites are charging for a service and do submit your Esta application on your behalf, it is difficult to get a refund if you have paid more than $ 14. Money Saving Expert says to look for the official Esta logo, which is a trademark and can only legitimately be used on the official Esta website.